Studio T Urban Dance Academy‘s Artist-in-Residence programs build bridges between schools, community based organizations, and teaching artists. We use Hip Hop an dUrban dance to inspire youth and their families to growth and personal empowerment. Teaching artists work in partnership with a classroom teacher during instructional time to develop hands-on integrated dance experiences as a P.E. and recess alternative. Teaching artists lead after-school dance classes for students. We work will all age groups and build toward a presentation experience. 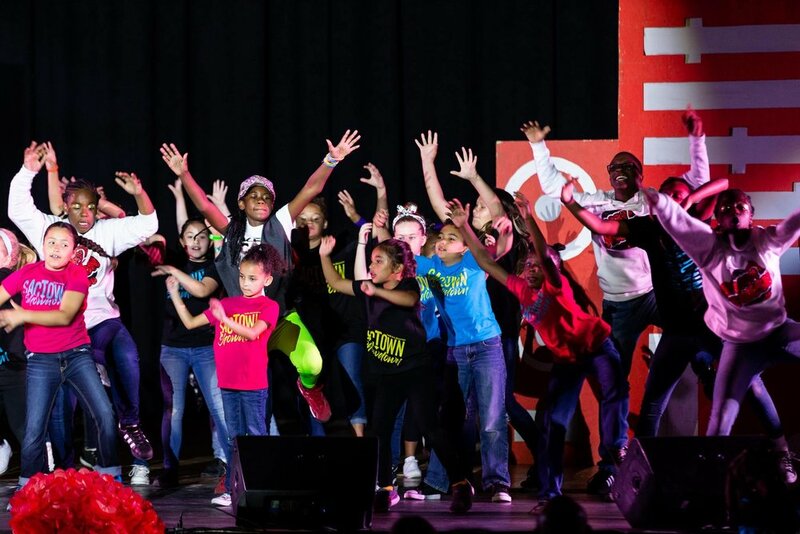 Youth also have access to perform on larger stages throughout the school year with Studio T’s professional performance company. Teaching artists partner with members of a community-based organization to develop and deliver empowerment a family component called S.T.E.P. (Studio T Empowering Parents) and now offers FREE workshops that help dance families grow in family management learning skills like budgeting, debt freedom, meal planning, How To Not Go Broke At Christmas, and much more. We also get our communities involved through Pop Up Dance spots, Community events, Dance Concerts, Workshops and more.